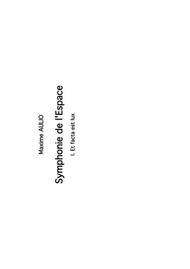 Symphonie de l'Espace (Symphony of Space), Op.20 by Maxime Aulio. Symphony in 6 movements with a choral interlude: 1.Et facta est lux 2.That’s one small step for man, one giant leap for mankind 3.Silence au fond des cieux, planètes, mes vassales ! Interlude (a capella choir) - «Howdy Strangers» 4.The Learn’d Astronomer 5.De revolutionibus orbium celestum 6.Eppur si muove Here is the 1st movement. 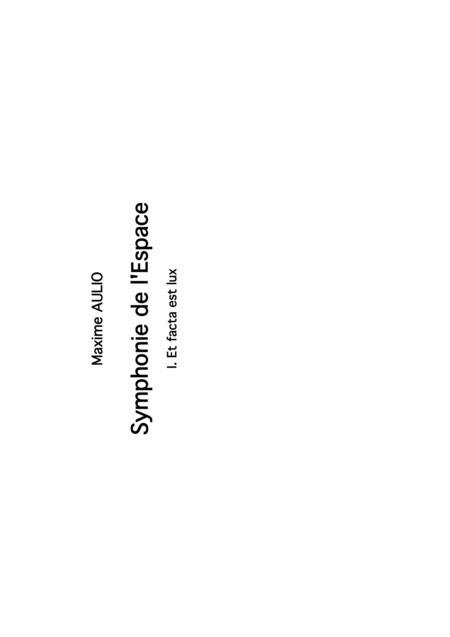 More info: http://www.maximeaulio.net/ENG/Maxime_Aulio_ENG/Blog/Entrees/2009/6/27_Symphony_of_Space.html.